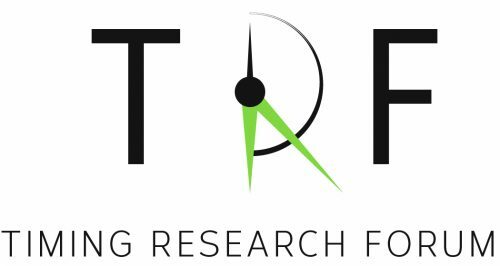 Within the framework of the EU funded Marie Skłodowska Curie Initial Training Network VRACE (Virtual Reality Audio for Cyber Environments) a 4-years PhD position is available in the Human-Technology Interaction group of the TU Eindhoven, The Netherlands, under the supervision of Armin Kohlrausch. Important: According to the eligibility rules of the EU, specific mobility requirements apply to this position, which are described in detail on the job site. Please check before applying whether you fulfill these requirements. The application deadline is April 15, 2019, start of the position preferably as soon as possible after the end of the selection process. Here is the new TRF’s March 2019 newsletter, with the announcement of TRF2! Here is the new TRF’s February 2019 newsletter! I am very pleased to announce that Fechner Day 2019, the 35th annual meeting of the International Society for Psychophysics will be held at the Rixos Downtown Hotel in Antalya, Turkey, between November 2nd to 6th. The meeting is organised in collaboration with Dr. Evrim Gülbetekin and staff of the Department of Psychology at Akdeniz University, the Mediterranean University of Turkey. The slight change in date is due to a confluence of meetings at the time of the anniversary of the founding of psychophysics, and is organised to fall largely over the weekend to maximise opportunities to attend. From Wikipedia: Antalya is a metropolitan area of some 2.2M inhabitants located in southern western Mediterranean region of Turkey. The city that is now Antalya was first settled around 200 BC by the Attalid dynasty of Pergamon, which was soon subdued by the Romans. Roman rule saw Antalya thrive, including the construction of several new monuments, such as Hadrian’s Gate, and the proliferation of neighbouring cities. The city has changed hands several times, including to the Seljuk Sultanate in 1207 and an expanding Ottoman Empire in 1391. Ottoman rule brought relative peace and stability for the next five hundred years. The city was transferred to Italian suzerainty in the aftermath of World War I, but was recaptured by a newly independent Turkey in the War of Independence. In early November, the weather in Antalya is expected to be manly dry with an occasional shower, with temperatures in the 20-30 degree range. Getting to Antalya: Antalya Airport (AYT) www.antalya-airport.aero/homepage serves a number of low-cost carriers from major European, Russia, Ukraine and former Soviet Union territories, as well as Middle East hubs. Travel to Antalya should not be particularly expensive from Europe, although November is the end of the holiday season. Alternatively, Antalya is served by domestic airlines, particularly Turkish Airlines www.turkishairlines.com and Pegasus Airlines www.flypgs.com/en. Both carriers provide a frequent, cheap, comfortable and reliable service to Antalya from either Istanbul Atatürk or Sabiha Gökçen International Airports, the first of which is a major hub itself, due to operational range of Turkish Airlines. Venue: the Rixos Downtown Antalya downtownantalya.rixos.com is a 5* hotel overlooking the Mediterranean Sea. The hotel is 1 km from the Antalya Museum and 7 km from Konyaaltı Beach, although access to the sea is much closer. The upscale rooms offer minibars, free Wi-Fi and flat-screen TVs, plus balconies, sitting areas, and tea and coffeemaking facilities. Upgraded suites have separate living rooms, and some have whirlpool baths. Room service is available. Amenities include Turkish and international restaurants, open-air dining and a cafe, plus 7 bars and regular live entertainment. There’s a high-end spa, a heated outdoor pool and a gym. Activities such as tennis, badminton, water sports are available. Registration will be open once the web site is up and running by mid February and I will revert to you then with details of how to register. Accommodation we have negotiated special deal with the Rixos Downtown Hotel for 40 rooms, and we have 20 additional rooms in the university guest house (bed and breakfast) at a discounted rate for students. A free shuttle bus will transport from the guest house to the hotel and return (about 2 km). We will provide options to pay for either full-board or half-board accommodation at the hotel within the conference fee. Similarly, there is an option to pay for the university guest house within the discounted student conference fee. The first 40 fee-paying registrants covering accommodation will be allocated one of the discounted rooms at the Rixos Downtown, likewise for the first 20 fee-paying student registrants. There are also conference fees without accommodation included. I hope, if we fill the 40 rooms, we can negotiate further rooms with the hotel at the rates below. All conference fees (in Euro) cover small items, proceedings volume, lunch and coffee breaks at the venue, as well as ISP membership fees of 90 Euro (full) and 35 Euro (discounted). Conference fees also cover the cost of the conference! The conference dinner, planned to be held at the venue, will cost an additional 35 Euro. The excursion, planned or the 6th November, will involve additional cost. Full Board – 4 days breakfast, lunch and dinner prepaid, plus unlimited drink allowance at the hotel bars. It is planned to offer the opportunity to visit local archaeological sites, and we will be back with further details. We wish you a happy new year with the first 2019 TRF newsletter! Here is the new TRF’s December 2018 newsletter! After a long delay, the TRF1 proceedings are available and open-access by clicking here. We promise future proceedings to be more timely. We thank you for your patience and contributions! Here is the new TRF’s November 2018 newsletter!